Group culture has a large impact on the behavior, attitudes, and satisfaction of each group member. People who fit into the culture often feel right at home in the group. But for other people, the culture leads them to feel like strangers in a strange land. The environment makes them uncomfortable. 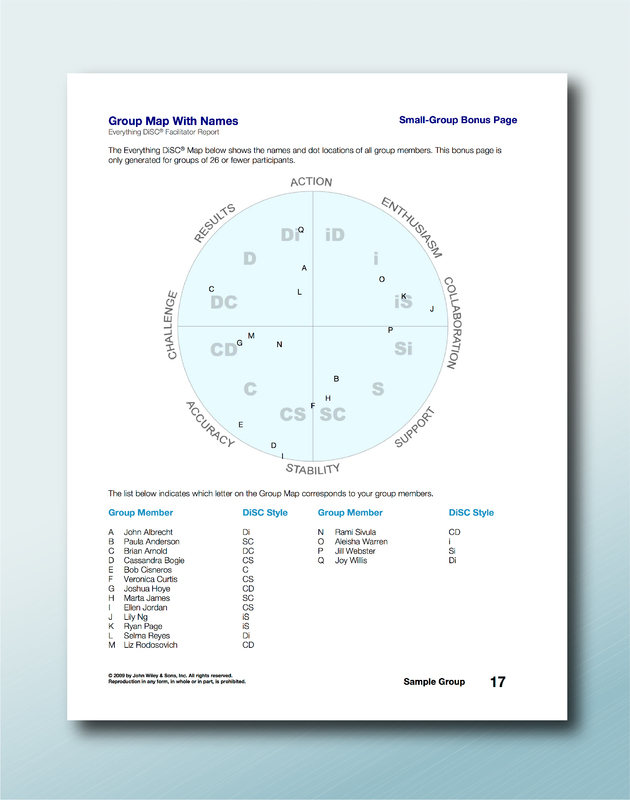 This report explores the DiSC culture of your group. You will be provided with data that elaborates on the styles represented in your group and information on the advantages and drawbacks of each DiSC culture.